BodyCraft® was founded in 1994 on three simple foundations: delivering a high quality product for the consumer; making every machine fulfill multiple purposes; and putting it all together at an affordable price. Our passion is creating the ultimate in safety, variety, design, and affordability. Every Bodycraft machine is built to fulfill each of those purposes! Each Bodycraft machine is built to be fun and motivating – helping you build a better you with each workout. We only supply products that we use in our own homes. In fact, many of our products can be found in the homes of our team! While our designs have often been accepted as standard in the fitness industry, our ideas are proprietary and protected by patents. When you buy direct from Bodycraft, you’ll never have to worry about quality - no matter how much you use your equipment, it’s built for a lifetime. We never compromise quality for price – and our warranties are proof of our commitment to you! Don’t be fooled by a copy – only a Bodycraft machine is built to last. 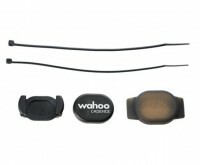 The Wahoo Fitness RPM Cadence Sensor is a wireless, magnet-less solution for measuring your cycling cadence data. It allows you to display data on smartphones and Tablets for use with a variety of apps. Includes Sensor, CR2032 Battery (installed), Rubber mounting option, Zip-ties, Shoe mount option, 3M double sided Tape, Quick Start Guide, Important Product Info Guide. 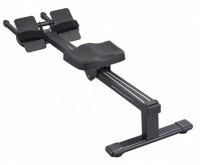 The Bodycraft Power Row was designed to take your Seated Cable Row to the next level! By incorporating a moving seat, you now have a more dynamic and improved range of motion. By bringing Legs into the workout, you now work more muscles than ever before. It allows for faster and smoother reps for an increased cardiovascular workout. 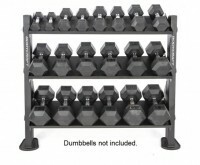 Designed for any environment, our Commercial F530 3-Tier Dumbbell / Accessory Storage Rack cannot be beaten. We start by using 3 offset reinforced plate steel trays for maximum safety, flexibility, and accessibility. The top tray can be assembled in either a flat or angled position. When flat, you can use the top tray for gym accessories such as kettlebells, lat attachments (and dumbbells). Your leg muscles are the strongest and toughest muscles in your body. We have built the BodyCraft F660 Hip Sled with that in mind. From the heavy gauge steel, to the industrial grade linear bearings, this machine is built to withstand the toughest workouts – for a lifetime!